Coupon valid for a standard oil change for only $17.99+tax and $2 disposal fee at Lube It Fill, 1012 Cox Cro Road, Toms River, NJ. Includes of to 5 quarts of oil and standard filter. Cartridge filter extra. Most cars and light trucks. No appointment needed. Visit Lube It Fill for all your auto repairs and maintenance. NJ State Inspection facility. Open Open Monday through Saturday. Closed Sunday. Coupons may not be combined with any other offer. With Valpak® coupon only. Coupon void if altered. Expires 05/03/2019. Coupon valid for $20 off a full Mobil 1 synthetic oil change at Lube It Fill, 1012 Cox Cro Road, Toms River, NJ. Includes up to 5 quarts of Mobil 1 synthetic oil. Most cars and light trucks. No appointment needed. Open Monday through Saturday. Closed Sunday. Lube It Fill also offers discounts on news tires and brake jobs. Ask our auto repair technicians for details. Coupons may not be combined with any other offer. With Valpak® coupon only. Coupon void if altered. Expires 05/03/2019. Coupon valid for a drain and fill transmission service for only $99 plus tax at Lube It Fill, 1012 Cox Cro Road, Toms River, NJ. CVT Fluid is $50 more. Full service auto repair facility servicing all makes and models. Satisfaction guaranteed. Coupons may not be combined with any other offer. With Valpak® coupon only. Coupon void if altered. Expires 05/03/2019. 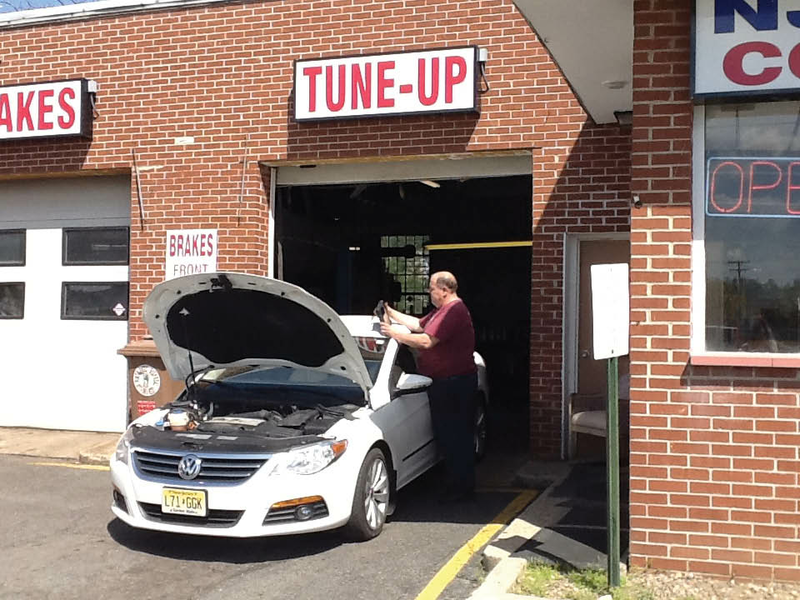 Coupon valid for a coolant flush for only $49.95 plus tax and fluids at Lube It Fill, 1012 Cox Cro Road, Toms River, NJ. No appointment needed. Lube It Fill is also a certified NJ State Inspection Center. Full service auto repair facility open Monday - Friday, 8am - 6pm and Saturday, 7:30am - 3pm. Closed Sundays. Coupons may not be combined with any other offer. With Valpak® coupon only. Coupon void if altered. Expires 05/03/2019. American/Japanese cars only $49.95 plus tax with coupon (regular price $59.95 plus tax); German cars only $59.95 plus tax with coupon (regular price $69.95 plus tax). 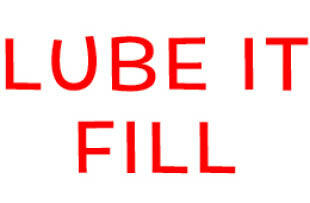 No appointment necessary at Lube It Fill, 1012 Cox Cro Road, Toms River, NJ. Includes up to 5 quarts of synthetic oil. Most cars and light trucks. Includes standard filter, cleaning of front and back windows, top off of fluids and tire pressure check. Cartridge filter extra. Closed Sunday. Coupons may not be combined with any other offer. With Valpak® coupon only. Coupon void if altered. Expires 05/03/2019. Coupon valid for a fuel injection system service for only $59.99 plus tax at Lube It Fill, 1012 Cox Cro Road, Toms River, NJ. Valid on most cars and light trucks. No appointment needed. Coupons may not be combined with any other offer. With Valpak® coupon only. Coupon void if altered. Expires 05/03/2019. Coupon valid for a four wheel alignment, toe adjustment only, for $49.99 plus tax at Lube It Fill, 1012 Cox Cro Road, Toms River, NJ. Camber and caster extra. Discount applies to most cars. Ask our auto technicians about new discount tires. Full service NJ State Inspection station. No appointment needed. Coupons may not be combined with any other offer. With Valpak® coupon only. Coupon void if altered. Expires 05/03/2019. Save time on auto inspection at Lube It Fill. Two year NJ State Auto Inspection for only $39.99 with coupon. No appointment needed. Visit Lube It Fill for all your auto repair and maintenance needs, including oil changes, wheel alignment, fuel injection system service and brake jobs. Open Monday through Saturday, no appointment needed. Coupons may not be combined with any other offer. With Valpak® coupon only. Coupon void if altered. Expires 05/03/2019. Coupon valid for a full service Mobil oil change with free tire rotation for only $39.99 + tax and $2 disposal fee at Lube It Fill, Toms River, NJ. Includes up to 5 quarts of oil, standard filter, cleaning of front and back windows, top off of all fluids and check tire pressure. Cartridge filter extra. Most cars and light trucks. No appointment needed. 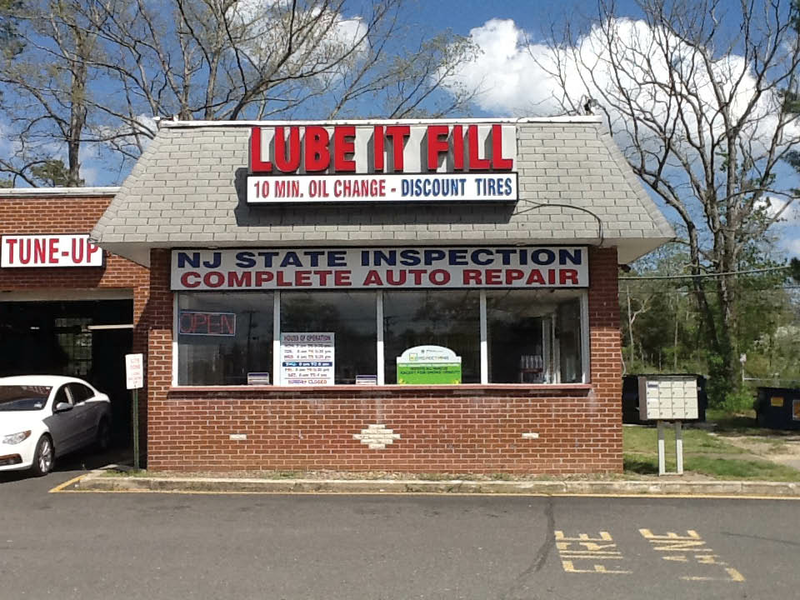 Visit Lube It Fill for all your auto service needs, including discounted NJ State Inspections. Coupons may not be combined with any other offer. With Valpak® coupon only. Coupon void if altered. Expires 05/03/2019. 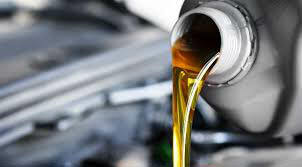 Save money with online auto repair and oil change coupons at Lube It Fill, 1012 Cox Cro Road in Toms River, NJ. No appointment needed. Lube It Fill is a full service auto repair facility for both foreign and domestic cars and trucks. Two year NJ State Inspection is only $39.99 when you mention Valpak. FREE check engine light scanning. Ask about our tire special, fully mounted, balanced and installed. Fast, friendly service. Open Monday through Saturday, closed Sunday.